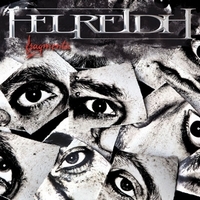 There has been some trouble for the band Helreidh to get the right line-up in the band since they decided to make a comeback in music. Their two first records was produced in the 90's and after that the band split up. Mainman Yorick on the guitars carried on together with the other founding member, drummer Luca Roggi to get new inspiration for the bands comeback, and after completing a total new set up, they are now ready with their latest release Fragmenta. Their music is mostly of a psychedelic type, there is even a song called Shades Of My Untimely Autumn which could be described as circus music with a good inspiration from Queen. But apart from the boring stuff they make there are two songs that has some better content, Ex Visionibus Fatus where they do a lot of hard experimenting rock music, not bad. The other song that is really worth mentioning is Zep Tep, psychedelic hard rock but with some good and interesting songwriting sewn into the rhythm and character of this song.